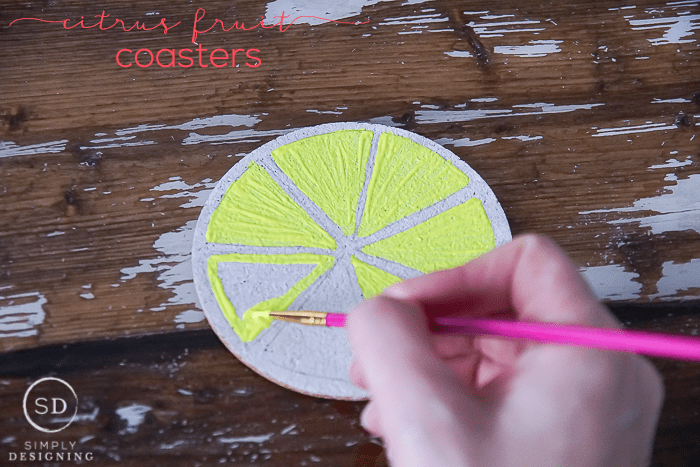 You can easily create these in an hour or two and I promise, you don’t need fancy painting skills, special tools or even a lot of attention to detail to turn ordinary cork coasters into something bright, beautiful and fun! 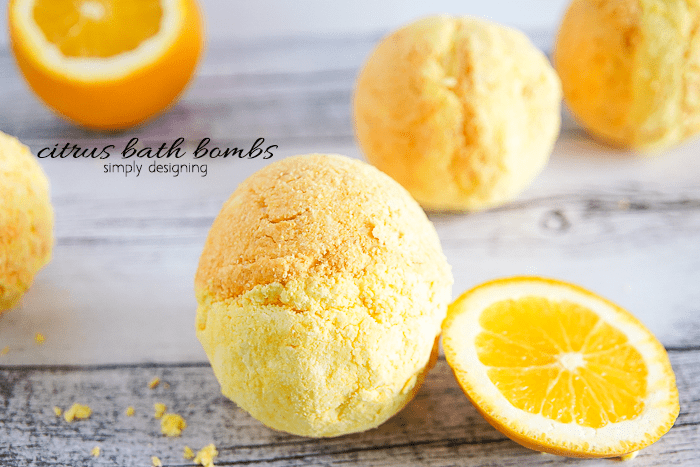 And the best part of creating something like this is that you can easily customize these to make them your own! If you have a knack for painting, you can add more detail to these! Or if you aren’t as skilled at painting, you can keep them simple like I did. You can change the colors to match your home decor or choose to use colors that are spontaneous, bold and even NEON like I did! 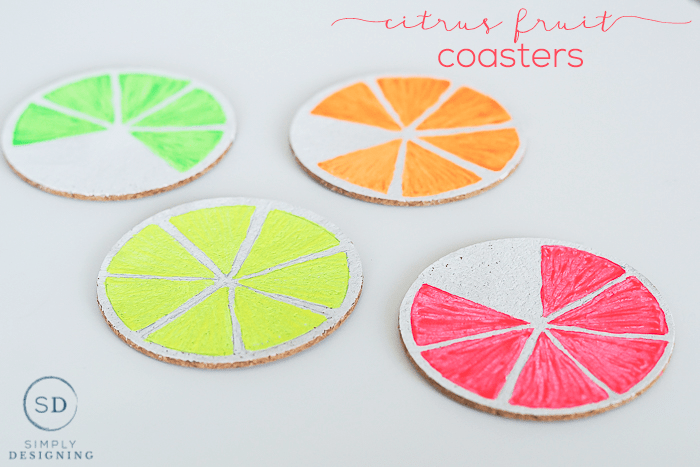 So today I am sharing all of the details on how to create these cute DIY Citrus Fruit Coasters over at Darice’s Live Craft Love blog HERE. 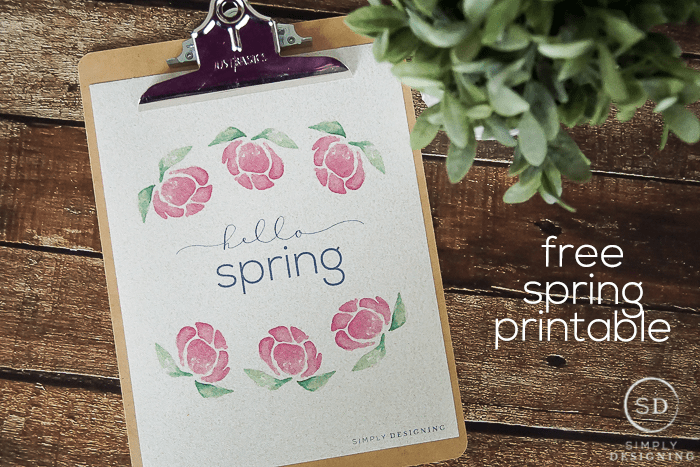 SO head on over and take a look! 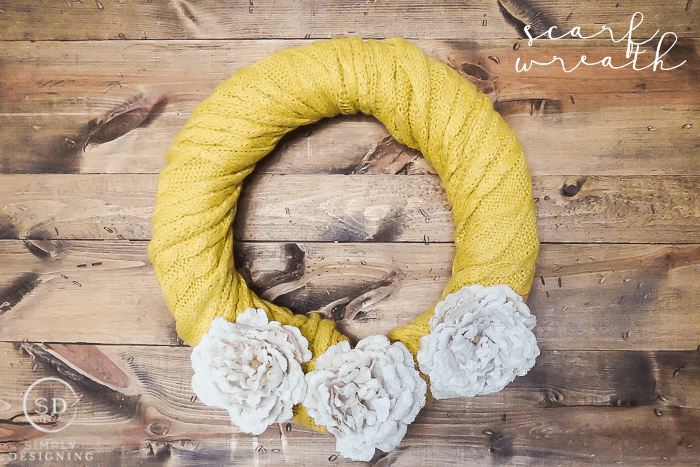 These are all perfect for Mother’s Day especially the scarf wreath! Looks bright and colorful. Thank you for sharing with us at #HomeMattersParty . We would love to have you again next week. 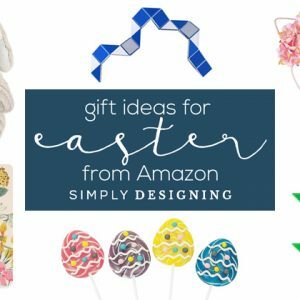 What a cute craft, and could be very fun to do with kids! Thanks for sharing at Merry Monday! 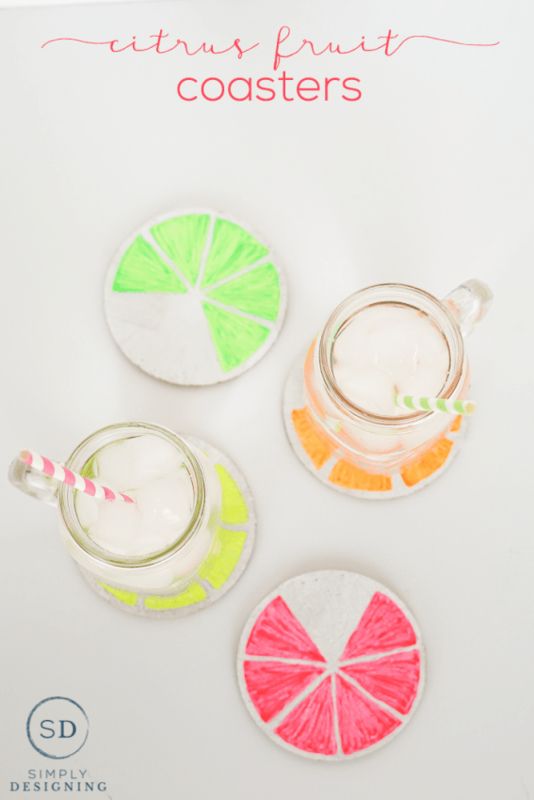 These are so cute, and really look pretty easy to make! Heading on over to check them out now!